On October 4th, Google will re-introduce itself as a smartphone maker with a pair of new Android smartphones called the Pixel and Pixel XL. Made in cooperation with HTC, their purpose isn't merely to showcase the latest Android version, but also to compete in the high-end market where devices by Samsung and Apple thrive. To increase its chances, Google has invested in attention-catching marketing and heavyweight spec sheets to get more users into what its handsets have to offer. We'll go through what we believe we know about the Pixel and Pixel XL's design and hardware prowess, briefly analyzing it in the context of their predecessors, the Nexus 5X and Nexus 6P, along with current high-end offerings by top competitors Samsung and Apple. This will give us a clearer picture of where Google's upcoming handsets stand in the crowded smartphone market, and what the company's vision of a modern high-end smartphone consists of. We'll also sum up the article with our expectations. Google and HTC envisioned a clean, understated design for the Pixel and Pixel XL. Fans of flashy phones will probably find the Google duo looking too tame for their tastes, opting for something like the Galaxy S7 edge instead. Still, the handsets allegedly feature two-tone black and grey finishes. 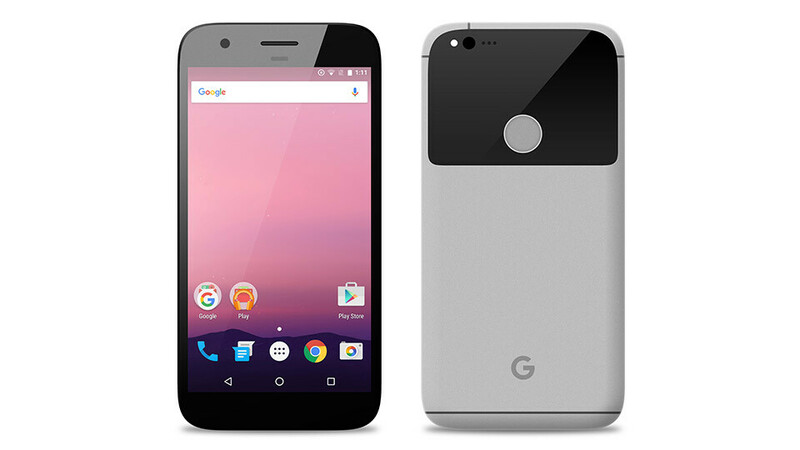 The Pixel XL boasts a metal frame, and the same could be true for the Pixel as well – Google has no reason to create another plastic smartphone considering high-end smartphones are consistently made of metal. Both devices are free of home buttons and capacitive keys, while also featuring rear-positioned fingerprint scanners. Additionally, both devices are IP53-certified for being splash-proof – that is, you can't take a shower or swim with them, but they will stand the rain. Most high-end smartphones of today, like the iPhone 7 or the Samsung Galaxy S7, feature the full IP67/68 certification for complete waterproofing, though. But the IP53 conformity is an upgrade over the Pixel and Pixel XL's predecessors, the Nexus 5X and Nexus 6P, which lacked such protection. Google is expected to equip the Pixel with a 5-inch, 1080p resolution display and the Pixel XL with a 5.5-inch screen with a 1440 x 2560 resolution. This isn't an upgrade over the Nexus 5X or the Nexus 6P's screens, respectively, but on paper, they sound more than adequate. Competing smartphones, such as the Galaxy S7 and Galaxy S7 edge have 5.1-inch and 5.5-inch screens, and others like the HTC 10 (5.2 inches) and the LG V20 (5.7-inch) come close to these sizes. It's not yet known whether the displays use LCD or OLED technology, but both are viable choices in this day and age. Google-branded smartphones have always existed to showcase the latest Android version in the best possible light. Hence, the Pixel and Pixel XL's strong spec sheets make perfect sense. They are both expected to be powered by Qualcomm's latest premium-tier processor, the Snapdragon 821, paired with 4GB of RAM and at least 32GB of storage – probably not expandable, considering Google's past smartphones. The Snapdragon 821 is designed to be 10% more powerful than the Snapdragon 820 chip found in most current high-end smartphones, such as the Galaxy S7 and Note 7 devices, and is at least twice more powerful and energy-efficient than the Snapdragon 808 and 810 chipsets running in the Nexus 5X and Nexus 6P. Yet, there are smartphones with as much as 6GB of RAM on the market, so Google might have considered future-proofing the Pixel XL (as the more "enthusiast" model) with an additional 2 gigabytes of memory. Still, benchmarks show that Apple's A10 Fusion processor, found in the iPhone 7 devices, is the most powerful piece of mobile silicon in the industry. Despite that, the Pixel and Pixel XL should to offer exemplary performance and smooth everyday usage, especially considering they run a "clean" version of Android 7.0 with only Google's services installed as added-on software (which might change if the Pixel smartphones are to be sold via carriers). Leaked data has also pointed out to a 3450mAh battery for the Pixel XL, and perhaps a 3000mAh or so unit for the smaller Pixel. Considering current high-end Android smartphones, such as the Samsung Galaxy S7 edge (3600mAh) and the LG V20 (3200mAh) have battery capacities in the same ballpark, the Pixel and Pixel XL have adequate battery capacity by today's standards, and ought to last at least a day of normal usage. Google isn't toying around with dual cameras – a missed opportunity? Rather than experimenting with dual camera setups, Google is sticking to a safe and proven formula. 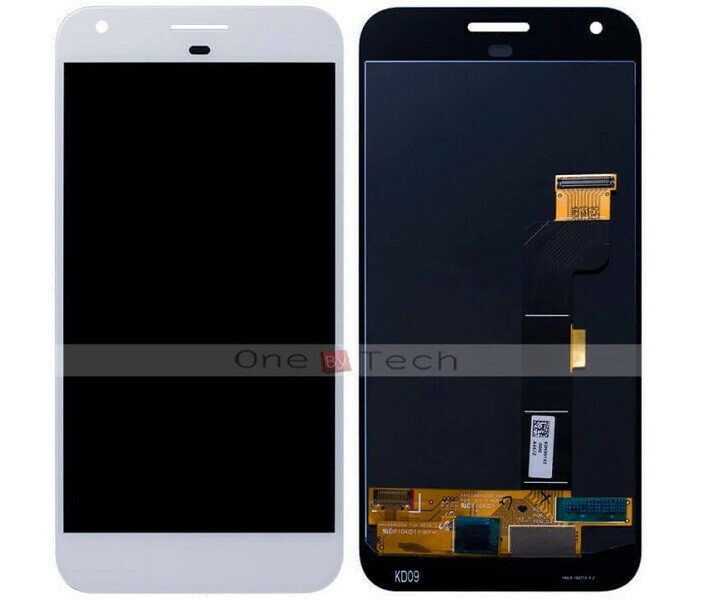 Reportedly, the Pixel and Pixel XL will feature 12MP Sony IMX378 rear cameras and 8MP Sony IMX179 front cams. These sensors are expected to be a worthy upgrade over the ones used in the Nexus 5X and 6P, producing sharper and better-lit shots. This camera configuration sounds capable and is in-line with what's expected from a high-end smartphone nowadays. 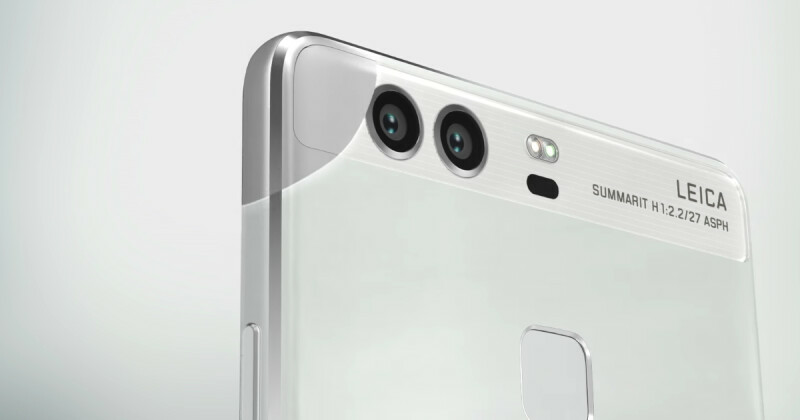 While competitors such as the Apple iPhone 7 and Samsung Galaxy S7 edge also feature 12MP rear cameras, the industry is exploring the possibilities of dual-camera setups. For example, the LG V20 uses a dual camera setup to deliver almost panoramic wide-angle shots, while the Huawei P9 uses the second camera with the goal of outputting better-lit photos. It would have been an advantage if Google had experimented with a dual-camera setup for the larger Pixel XL, turning it into a truly cutting-edge device. The Google Pixel and Pixel XL will be among the first smartphones to ship with Android 7.0 Nougat, the latest version of the operating system. Reportedly, they could run an even more up-to-date Android 7.1 build, which might bring features such as double-tap to wake, a Restart option in the power menu, and a Night Light feature that filters out the blue light emitted from the display, optimizing it for comfortable night reading. Moreover, the smartphones will introduce a new Android launcher called Pixel Launcher. 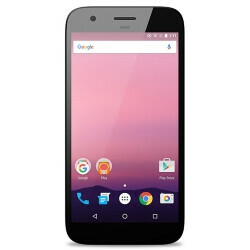 It looks largely identical to the Nexus launcher on the Nexus 5X and 6P, but offers notable design changes, such as round icons on the home screen, an updated navigation bar with redesigned symbols, the addition of home screen rotation and a swipe-able floating button that launches the Google app. Running the absolute latest Android version the moment it's become available has traditionally been a privilege of Google devices, so they certainly have this advantage over competing Android smartphones. In the past, Google took a reserved approach to marketing its own Nexus Android phones. But with the new Pixel and Pixel XL, Google seems to be very serious about being a device maker and seller this time around. The new handsets have been treated to a substantial marketing campaign that saw major advertisements pop up across the United States and Europe in anticipation of their October 4th launch. Google wants people outside technological circles to know about the Pixel smartphones, and hopefully convince them to buy a Google-branded smartphone. While Nexus devices used to be sold with thin profit margins and priced quite competitively, the new Pixel handsets are expected to bear the standard flagship smartphone price tags north of $600. This might make them a tougher sell, considering there are competing models with more elaborate and interesting designs, and more forward-looking technology, such as complete waterproofing and dual cameras. We'll have to see if Google's confidence in its latest smartphones is justified, and whether the company has what it takes to compete with Samsung and Apple's strong-arm marketing – which could very realistically make or break its newfound ambitions. Sep 27, 2016, 8:16 AM, by Peter K.
Oct 03, 2016, 4:38 AM, by Peter K.
What's that black portion on back do? Don't tell me it's there for style cause I think that thing ruins the design. Everyone thinks it's unsightly, myself included, though I keep telling myself that there's something functional and amazing about it that's still yet to be revealed though I'm probably just lying to myself. Erm, for antenna or main parts for disassembling like Nexus 6P? You can take a look the Nexus 6P teardown video. That's my guess. Everyone bitched about the "visor" on the 6P, but once we had it in our grubby hands, it seemed like the perfect solution. What's amazing is how Apple rips off so many people. The author points out how the iphone 7 (always catching up and copying google) is waterproof. Android phones have been waterproof forever. He also, conveniently, does not mention how the iphone's resolution is less than half of any high end android phone. I guess retina display stands for low resolution. Your entire post becomes meaningless with the incessant whining about apple. Just enjoy what you like and don't cry about the iPhone. I heard a rumor 2 days ago on slashgear that the glass backs on the pixel & pixel XL are touchpads (possibly for dual booting). strange though. Can't wait for the unvieling. I feel its true because if you look at all the rumors, there seems to not be any other thing interesting about the pixels. Yet, they're charging so much for it. So there has to be something exciting bout them tbh. Not too long now. Can't wait until the rumors go away and we have the complete facts on these phones. My primary concern is the battery life. Nexus devices have generally not been at the top of the pack in this regard even though they run fat free Android. I wonder how much of that is on Qualcomm. The Snapdragon 800 and 810 weren't exactly optimized for efficiency, but they were the fastest QC had out there at the time the Nexus 5 and Nexus 6P arrived. Hoping the 821 performs well in these Pixels. Hopefully the glass backs are like a solar charging panel or something cool like that. I think it's probably just for the antennas and the camera visor though like the 6P.